With special thanks to Bebereader for editing and Djafan for translating the original chatlog. A more detailed recap by Gladys will be published in both English and Spanish. The chapel was far. It took me 3 hours to get there and I had to walk 8 more blocks. I arrived at 8:20pm and introduced myself to Mr. McKinley. I spoke with him and Sister V until the show began. The first thing Mr. McKinley said was, “I read your blog on The Voice.” He said he liked it and that it entertained him. Sister V said she was the one who found it. They received it in an email but she approved it and said not to worry, to continue doing what I’m doing, that they all have read it, well those that could. The devotional was an hour and a half. David wore a dark blue suit, a white shirt and tie. His voice is more glorious than ever before. It was deeper and he had no problem hitting the high notes. I got a chance to speak to David this time. Unlike the last time, he stayed when the show was over and greeted everyone. Everyone was surrounding him. He was standing in the middle of all the Elders, like a star. Gisselle asked her Elder friend from Argentina to tell him that we had something for him. They spoke to him in his ear and he turned around and came towards Gisselle. I shook his hand and gave him the gift. I said this is for you in English. Hahahaha. “You spoke in English.” He looked at me, and I did not understand why. LOL. I saw his eyes up close for the first time. There were no shadows under his eyes, his face was radiant. When he saw the very large box of chocolate, an Argentine Toblerone in the shape of a triangle, I told him I brought it from Argentina and that it had been on the plane for a long time and longer on the bus. The 40 cm Tolberone seemed small in his hands. I told him to please not eat it all at once and he laughed and said “No, no, no.” I told him to put it in the fridge before he eats it. I said, “Elder, I did not know you sang in Italian.” He laughed a lot. He said “I did not know either. Hahaha.” He said he had only practiced the day before. I watched as he interacted with everyone with no problem, and he was not shy greeting anyone. This time they did not whisk him away. He thanked and greeted everyone. I also gave Elder Coello a box of chocolates, Argentinean ones, small triangles, milk chocolate. When I said “Elder Coello, do not forget your box of alfajors,” he showed me his bag and said they’d be well taken care of. So they know about me, The Voice blog, everything. They have invited me to the other devotionals and Sister V showed me the first two rows that had very young girls. She said “Those are not members, they are fans.” I told them everything from the beginning; I spoke the truth. They are expecting me for all the other devotionals. I think today was the most special day. I heard his laugh right in front of me. Yes, he seems really happy. He was glowing and his eyes are beautiful, dark green. No signs of exhaustion. Just happiness. David and Chile. Chile loves David. They take very good care of him. Jajaja I know, I’m crazy, but crazy with happiness and next week will be two more events. They said they’d be waiting for me. I did not want to leave because David was still standing there. Now I saw him up close, I can assure you that he has grown, and his shoulders are broader and his natural shyness has disappeared “totalmente.” His Italian was fantastic. His voice sounded like smooth silk. He’s a natural, no accent. Elders cannot read blogs. So David does not know me. But perhaps now he will remember me, for I gave him the biggest chocolate I could find. Here are the songs in Spanish sung at the devotional and “The Prayer” in English/Italian followed by David’s performance of “Los Pastores A Belen” from MOtab. 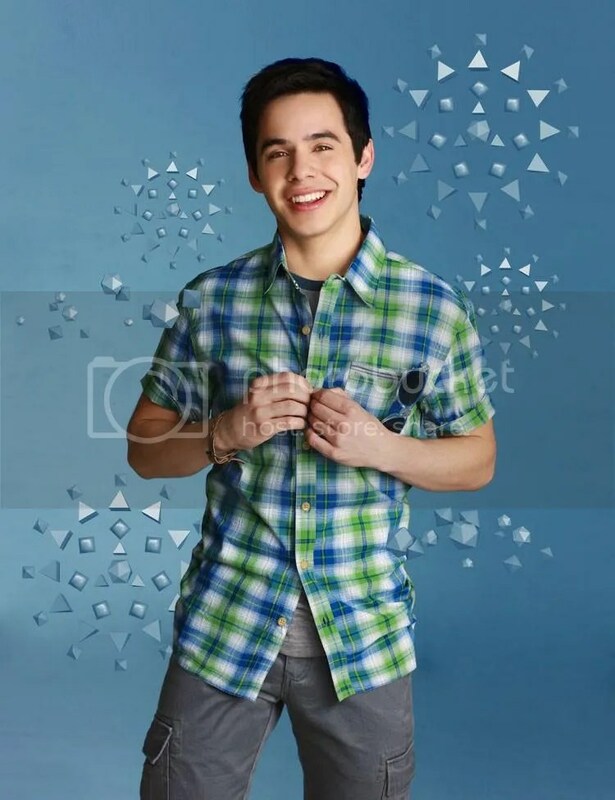 This entry was posted on Tuesday, December 4, 2012 at 1:42 AM	and is filed under David Archuleta. Tagged: Christmas Devotional, David Archuleta. You can follow any responses to this entry through the RSS 2.0 feed. You can leave a response, or trackback from your own site. THANK YOU, THANK YOU Gladys. I’m so excited reading every word. This just makes me even more excited about David’s future with his music career. Thanks for the recap. Glad to see that David appears to be getting so much from the mission and bringing real joy to so many. From a totally selfish standpoint, it’s good to hear that his voice is as strong as ever and maybe even improving during his career break. Look forward to Gladys’ longer recap. Gladys, I am so happy for you to be able to experience meeting David! ♥ It’s so true that when you meet him or see him perform, it’s just not enough. He is so habit forming! I want to say thank you for getting this posted so fast. I was laughing while reading it. Gladys, I could feel your joy! I’m so happy you got to talk with David. I’m also happy the powers that be are on board with you. I’m anxiously looking forward to the next chapter. Bebe~ I was so surprised to see you used my description of my meeting David in the sidebar. But you know, that really is what happens to me. Glad you can relate. I’m happy Gladys was able to keep her cool! Thank you so much Gladys for sharing your adventure with all of us. It’s great to hear that David is so happy and able to share his gift of music in Chili. I’m happy you got to meet David up close and experience the beauty of his eyes. I look forward to hearing about the future shows you’ll be attending. Take care! Thank you Gladys for everything and this wonderful recap. I really appreciate it all so much and so happy to see he is happy and that he seems to be maturing in voice and what seems to be his appearance! only thing I can think of is I wish I could see and hear what is in your head.. your wonderful memories. you rock! Hi Gladys!! Thank you so much for sharing this with us! It means the world to us to hear that David is well and happy and thriving!!!! So glad you got to speak to him too! Gladys a BIG HUG from me for this wonderful recap of your David adventure, I can feel the joy in your story. So glad you had the opportunity to talk to David, what wonderful memories. I can’t thank you enough for sharing them with all of us. I hope someday to meet you and thank you in person! Awww THANK YOU VERY MUCH GLADYS FROM THE BOTTOM OF MY HEART! Just knowing that David is happy & well makes up for missing him so much. And thank you The Voice for allowing this “sharing”, with special thanks to Bebereader & Djafan. This is an early Christmas gift! Thank you Glady’s for your wonderful recaps and for The Voice for posting them. Can’t wait to read the next one! Thanks so much for this post Gladys. It put a smile on my face and made my day. It really did! David and his fans are so lucky to have you to share your incredible experience at this concert with fans from around the world. David and his fans are the ones who should be giving you chocolates for your great work. Glady’s I’m so excited reading your adventure with David and this time was more exciting cos you get to talk to him. I’m imagining the excitement you’ve had at that time. So thankful that you shared it with us. I’m so happy for David cos he is enjoying his mission although we miss him terribly but we know he’ll be back and will shower us again with his songs. Oh you mentioned his eyes, I hope to see him in person one day and stare at his eyes. 2014 will come soon and I will be there in his concert 100%. To the The Voice you guys ROCKS !!! Thank you to all you do for us. Appreciate it so much. Happy Holidays to you all !!!! this brought me to tears… of love… I feel the love that is in the air whenever David sings… I feel the love of the true meaning of Christmas… and I feel our collective love for David… muchas gracias and Feliz Navidad to Gladys, dja, bebe and everyone here! So happy for you Gladys and so grateful that you are able to share your Joy with us. It is such a blessing to hear that David is Happy and able to share his gift with others. Thank you Bebe, Djfan, Angelica, Abrra for TheVoice. While watching and listening to Los Pastores, David was turning and smiling from the right column. Double the pleasure plus memories from Motab. I want to thank Gladys for her recap about David’s Christmas concert. It sounds like a magical night. I also want to thank President McKinley for generously allowing Gladys to blog about the concert. David has fans from around the world. We may not all be LDS but we love David and have the greatest respect for what he’s doing in Chile. It is great that he is being about to share his gift with the people of Chile, who will no doubt remember seeing David live in concert for the rest of their life. I love this whole article, but I especially love the parts about him being happy, rediant, broad shoulders and his shyness totally gone, lol.but most of all, I love reading that his voice is velvety and strong. (((((((((((((((((Gladys)))))))))))))))))))) So happy for you!!!! What a Christmas blessing. Thanks Voicers for sharing Gladys story, can’t wait for more. It certainly is wonderful to hear that David is “radiant” and doing so well. “David has fans from around the world. We may not all be LDS but we love David and have the greatest respect for what he’s doing in Chile” Amen Kiley! Awww thanks Gladys for the recap and The Voice for posting it. It must have been glorious to hear the devocional. I really appreciate your recaps and it put a smile on my face that will last all week. And wow that was a lot of songs to learn in Spanish plus the one in Italian. Amazing. I’m happy for David that he was able to participate in Christmas concerts. Oh Gladys, Thank you for our “early” Christmas gift! And thank you to the planners of this event for including you. Sharing love and appreciation is always a good thing. As Tofan said, you can feel the love whenever David sings, and you can feel the love of the true meaning of Christmas. David has brought me back to the Joy of the season. In fact, David has brought me back to “Joy” period. What an amazing Christmas gift he has been for so many of us. Great pic of pensive David at the top. Beautiful. A year ago we were dreading what Christmas would be like with no David. Most of us were afraid there would be no word, no contact, no idea of what David was experiencing. I am so grateful to have a first hand account of what is going on in David’s life. Confirmation of his well-being, his growth, his voice. And his eyes are still captivating. We even got a wardrobe description. I realize there are many people involved in giving me this gift. I wish I could hug them all. Thanks to Gladys and all here at the voice who show such great respect to David. Thanks to all in Chile who helped make this possible. Thank you David for being all that you are, which goes far beyond that incredible voice. That’s lovely Dayzee. It does go far beyond his incredible voice. I called upon David yesterday for an inner strength to do something that I might never have had the ability to do if I did not believe in the words that he sings. I drew upon ‘Be Still My Soul’ and ‘Bridge Over Troubled Waters’. This is why David is very important to me, not the fangirl fun of it but the amazing strength that he passes on to us. Gladys – How amazing that David learned “The Prayer” the day before! And in Italian! (knowing Spanish probably made it simpler). How cute: Gladys: “Elder, I didn’t know you knew Italian” David: “I didn’t either”. Our David hasn’t changed, the real him is coming out in new ways! DA certainly IS a “Spoonful of Sugar” that helps the “medicine go down” in life. But it is more than that his way of delivering a song helps to make the bitter, sweet. It is that when we taste the “medicine” thus delivered, we find even more sweetness layered deep within: there is no bitterness in his message, no matter there may be pain. This complete compassion seems to hold all the world. Like a childs knowing faith that can teach greater views to one whose life holds more experience but at times, less vision. There may be clouds from time to time, in his eyes, but there seem to be none over his heart. This is one of the qualities for which I admire him. And one I pray he always has. I believe our support of him helps him and us together, keep that clearer view. My deep gratitude and thanks to all at the Voice who – as many others have said – work together to make all of this possible. To all the new posters! Thank you so much for generously sharing your experiences in Chile with us. I was lucky enough to be in chat and I was so excited to hear everything that you had to say. Gladys, you are a Blessing in every sense of the word!!!! Next week I will see Elder Archuleta twice and of course, he will double gift. I’m looking chocolates largest hahahahah. You can make a list of their names and a sentence, then send e-mail to this site. Then the administrators sent me my, I print it, and attached this list, on gifts. It is a good idea??? ups, I do not ask the Administrators if this idea can be possible? Gladys, thank you so much for your generosity in sharing this with us! I loved reading every word and am so happy to hear that David is doing so well. If you’d like to send Elder Archuleta a short message or have your name included you can put in the comments or email it to TheVoiceDA@gmail.com and I’ll compile them so Gladys can print them out. Gladys, Thank you for this gift to the fans. Your love and respect for David is without question ♥ I’m so happy he followed his heart and that he is happy and “radiant”. Thank you Angelica for that work of art. Your visual edits always move me. Thank you my fellow adms for your dedication to supporting all things David. Gladys has sent me her actual recap and I’m working on getting it translated to share with you all. I want to welcome all new posters and to thank you all who have commented. Join us for Nandito Ako chat at 10PM Eastern tonight! Thanks Gladys, Bebe, Dja, Abrra, Angelica! any mods get my email??? This just popped up on my YT sidebar. 🙂 I forgot about it. Sugarpie, when you say the distinction is something to consider, what do you mean? Are the senior missionary couple violating some rules by reading Gladys’ blog or not telling the mission President about the blog? It would be unfortunate if the senior missionary couple are acting contrary to David’s and the President’s wishes by encouraging the blogs. Sorry for all the questions but I did not understand what you were asking us to consider. Gladys thanks again for you recap! The Prayer…love that song..just heard it at a wedding Saturday..MUST hear David sing that..in ITALIAN!! Sugarpie, not a misconception at all but an error in translation.. When looking back at the chatlog Gladys referred to Mckinley as Mr. I take full responsibility for the error.. Mr. and Mrs. Mckinley are the missionaries in charge of Centro Jas in Rancagua. So happy for you Gladys! Your recap brought tears of joy. You, finally getting the chance to talk to David and knowing David is happy and enjoying his work as a missionary. Thank you for allowing us to see David thru your eyes. Safe travels! #49 yes, I’m considering that we are so lucky and grateful that we have Gladys and this wonderful site. The way I see it, everybody wins, the church (didn’t have a very good opinion of the church before, but sense this lastest recap from Gladys, it has improved), the fans and yes, David’s career by keeping fans interested.. I believe with all my heart that this doesn’t interfer with any of David’s missionary work at all. From what I understand, he doesn’t know anything outside of his missionary world because of the strict rules of all missionaries. SB #28, I am so with you on pulling from the strength that comes from the words that David sings. I’ve had a rough go here for a few days, and I’ve done the same that you did. Found some music that stills my soul. Thank you admins for getting this post up so quickly. And the top artwork, as usual, is spellbinding. It took me some time to get past it and into Gladys’ words. When you melt away all the worries and concerns that we sometimes have along with the rules of living, we are left with just us and our God. amongst all the many religious comments that swirl around our common passion for David’s music. It is true that we draw upon the effects of David’s positive living and without any doubt he does ease our minds. He never questions our beliefs, because he knows who we are and what we stand for even though he may not match a name to a face, he knows us. Anyone can say no to that or try to change my thoughts, but it doesn’t matter really. David spent altogether many hours listening to comments from fans on how his music has affected their lives in the most positive ways. He remembers when he was troubled and fans immediately expressed their continued devotion. He left BEGIN for a few reasons. The number of people we read or heard who had been affected by David’s music and/or influenced by his example is simply astounding and inspiring. IF that is the only thing he has set out to do in his young life, then his cup must be overflowing. We may not know him personally, but, to borrow a phrase from a song, “we know him by heart” and we can guess that he is just starting on his journey. The 1st 4 years we have with him are just appetizers. He may start almost a-fresh in the US, what with the state of affairs of the music industry in ’em parts but he doesn’t have to, in the millions of hearts he has touched worldwide, over and over again with his voice… with his music and with his being JustDavid. Am confident that that will be a source of comfort and inspiration for him to continue. The same comfort and inspiration we give to one another as members of this ArchuFan-Family, despite all the craziness and at times, unnecessary drama. ps: And yes TAWNA, somebody HAS to do the awful job (rolls eyes! Ahahahahaha! Thanks for sharing your experience at the devotional in Chile. You gave us all a glimpse into the future by telling us the ways that Elder Archuleta has grown as a person and an artist. It makes the wait for #2014 so much easier. Gladys – thank you for your recap. I had to laugh when I read your account of seeing his eyes up close. That GREEN! they are beautiful and filled with spirit. I’m also so glad to hear that his voice remains in excellent condition haha. No worries for him coming back and having to retweek it. Thank you also to Bebe, Dja, Abrra, Angelica for doing this for us. I’m working and suddenly come to mind pictures, and memories make me laugh. When Gisselle and I finished our conversation with David, we hugged and I kissed her, to thank all her help. Imagine the face of david hahahahahahahahah Oh God, those moments are unforgettable. 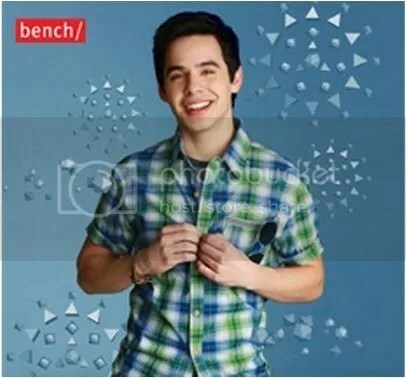 David on Bench’s Holiday page!!! Fan Archuduties: Voting and other links! Abrra #59, If I were the girl that passed out and when I came to found out that I was holding David’s bottle of water…. yep! right back to lights out for me!! I wonder if security took it for her? 3. Annual Christmas card from my grand-daughter and family, embossed with photo of my two beautiful half-Filipino great-grandchildren. Just imagine these three precious items arriving in the same mail — what are the chances? Merry Christmas! Rooster aka Ray, I saw that Abrra replied to you. I forwarded it again. Let us know if you don’t get it. So thrilled to know that you have been welcomed so warmly and have been invited to 3 more devotionals! How you stayed a fan for so many years without any hope, or very little, of ever seeing or hearing him live is amazing. How he changed your life in so many ways during that time is also so inspiring to me. You have been blessed from above, and by reciprocity, all of us who have come to know and love you. Thanks so much for making so many of David’s beloved fans happy this week. It really brought the Christmas Spirit into my heart to read about him being happy, healthy and singing beautiful songs of the season in Spanish. And Italian! Mama mia, we inna bigga trouble! LOL! And he laughed a lot? sigh…how wonderful is that to just know he is that happy? I can not even express how much that means to me. Just thank (((you))). I feel the joy in all of your words now. What a blessing! Steno, That’s a great Merry Christmas for you!!! @taylorswift13 continues to hold the 1-2 spots and barely holds on as no. 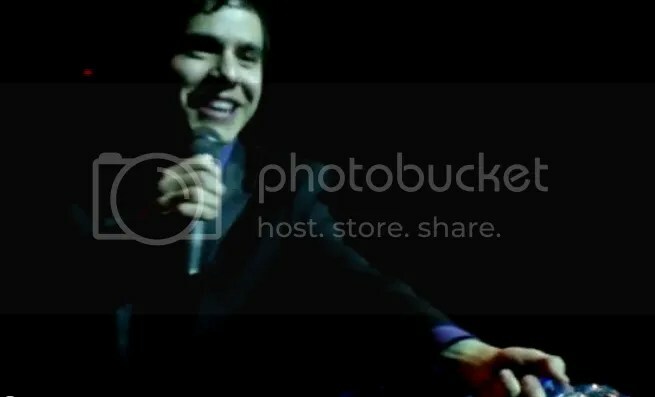 3 @DavidArchie (no. 5 mobile) closes in on breaking it again! Today is the 3 year anniversary of the @DavidArchie Grand Junction CO CFTH concert! He was on fire that night! @davidarchie what do you wish to achieve when you flirt with your audience? like pointing at them and wiggling your eyebrows? Keep mailing cuz Kari will keep sending to David! 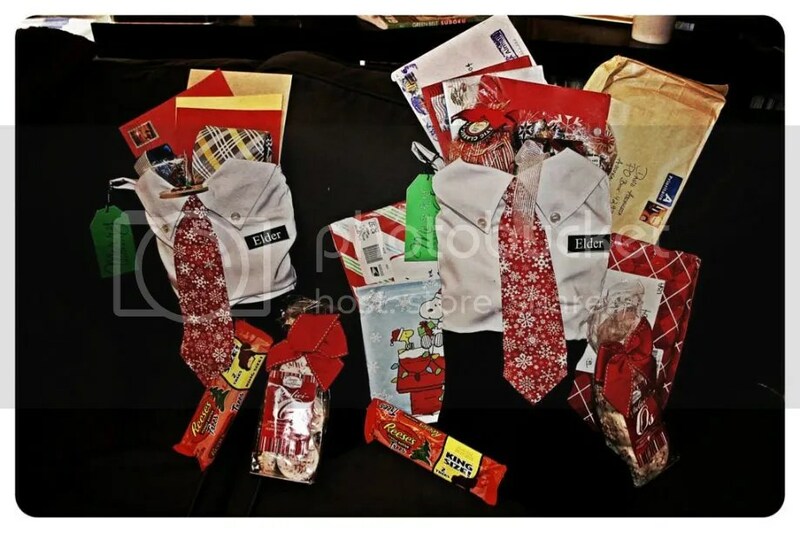 @alliesings94 @DavidArchie for this shipment it is but maybe a nice New Year card if you missed and wanted to send something. My sleeve worked just fine. Aw, love that video, especially the part with him surprising Edith. “I’ve loved you for a thousand years.” Have a tissue, dja. Having a cup of cocoa with a can of whipped cream on the side. Don’t you just love winter? That video is brutal…. awesome… but brutal at the same time. It made me realize how much I am really missing David and the feelings he and his music provoke inside my heart. Aww Bebe, just love that video♥ thanks for posting that. Gladys,thank you for bringing us so much news and so much joy♥When you share with us, how well, and happy he is doing,it’s like applying a soothing balm to the ache ,of missing him so much. I always hoped so much, that your dream of meeting David face to face would come true, and am just that it has all come about in the wonderful way it has.Fate, and the power of love, have had a hand in the journey of David and his fans, without a doubt. Thanks to Bebe, Dja, Abrra, and Angelica, you guys are so awesome! Bebereader! Thank you so much for posting that Nikki Collins video. How wonderful, tender and uplifting it is to see him interacting with his fans. It seems to give him as much joy as it gives them. Not just a ‘job’ to him — a way of life. Cvarchfan #75 You said the right word…Brutal! My heart is aching for him to come home. Wow! If anyone ever needed a reminder of why this guy is so special to us, well, that would do it. “It seems to give him as much joy as it gives them. Not just a ‘job’ to him — a way of life.” So true. David has such a giving heart ♥ and has shared so many precious moments with his fans. Angelica, thank you for the tissue. Cvarchfan and Marlie, brutal, I have been a sobby mess this evening. I am rather anxiously helping my daughter to figure out a way to help a two week old Siberian kitten (who is with the mother and litter mates.) as she is down two ounces from the others etc and that can be dangerous. So as part of the regime to aid the mother into being less bored perhaps, I recommended having easy listening music there in the room. I had just remembered that farmers do that to increase milk production. 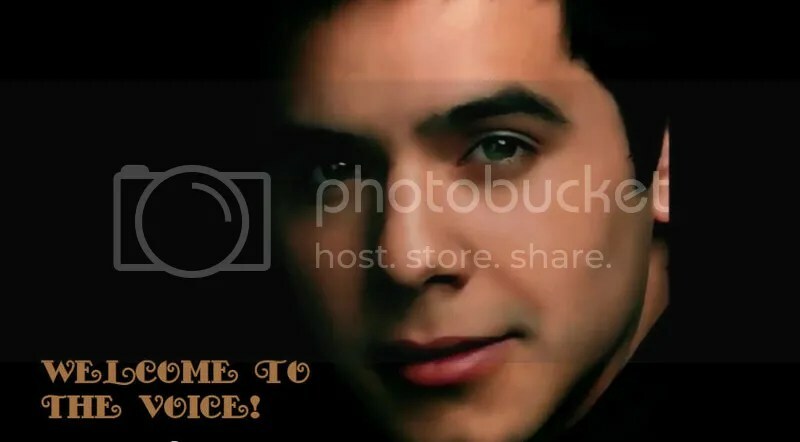 David Archuleta EUROPE is out! Dja, they posted your Fan Archuduties << The Voice page in two places! Check your email please? We have responded twice from The Voice. It may be caught in your mail spam filter. I have replied again from my personal email. Loved your little story. The healing quality of David’s voice coupled with the heartfelt songs on BEGIN is sure to be therapeutic, even for animals. Please keep us posted on progress made. David Archuleta Europe! It’s about time! Seems fans are cropping up everywhere. Each day I see new tweets from foreign countries I didn’t even know existed. “American Idol” must be shown worldwide! SB, ahhhh the kitties. Hope things are ok with you. Oh boy, Lump in my throat today. Video at #70, Bluesky’s “not just a job”, SB’s kittens, Sky writing about the journey of David and his fans. Luckily this is the hugging place, where we speak freely of one-armed hugs, two-armed hugs, virtual hugs, hugs longed for, hugs remembered and hugs anticipated in the future. Not a bad place to be. Excuse me… I am getting confused Djafan. Is that Clark Kent? Or Superman? Are those meant to be mild-mannered snowflakes? Or the manifestation of exploding super-powers? You posted it = you explain, please. Come on… take some responsibility, here! Update! Little kitten ‘Eva’ as seen to the right of her big brother Cameron, has her BEGIN music now and has started drinking heartily this afternoon. She will get her weight back soon I am hoping. I dropped off CFTH just to keep it festive!! 89. SB — Wonderful news! Again, the magic of David and his glorious voice. Thanks for the update. Steno…the truth be known, Eva was being pushed around by her two sisters Brooklyn and Acadia (Dia), from the first few hours they were born. They are all very calm now though. Animals and children love the sound of David’s voice. Thank you, Gladys for letting us peak into your private life of David watching. When you said that David looked, “Radiant”, it reminded me of when I saw David at a signing at the Deseret Book store after the Friday night concert of MOTAB. My first reaction to seeing him as I approached the table was that he was so happy that he was looked radiant. He took my breath away. I will always keep that image in my mind. Thanks to the people who translated Glady’s words and put them on this site. You all do such a good job. Is Gladys planning on going to all four Christmas shows? Does anyone know? Djafan – Thanks for sending the messages to Gladys to give to David! Excited he will be reading them this weekend! I blame all errors and weirdness on the cute guy between the snowflakes. The poor artist was probably just trying to rationalize spending so much time on this particular project. Happy, happy trails, Gladys. Please be safe and sound. Prayers for a safe trip to Gladys. Have a safe & happy trip! In my office this afternoon I had an overwhelming need to watch MKOC concert. Had it playing quietly on my computer, people came in, we were getting stuff done, when someone leaned over and cranked up the volume. You da one to get it done. How cool is that that they will let you play a video while you work? 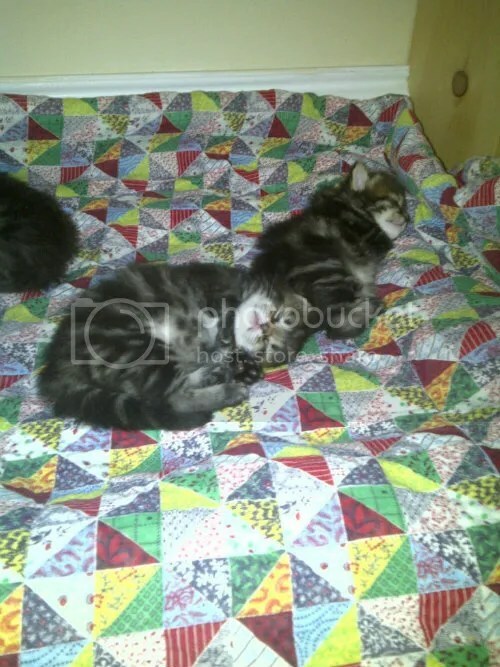 #81 The little kitties are precious….yep, David can work wonders! #86 Dayzee, I just about flipped when I read “Sky writing about the journey of David and his fans”! I took it literally, thinking of “the writing in the sky” about David and I could just picture his name up in the sky floating behind that airplane! Duh!! haha It would be a good way to welcome him back home, but he wouldn’t like all that attention and fuss made over him. #93 Good that we all work together for our man!! Thanks again, Gladys and safe travels! Can’t wait to hear all about your David news. #100 I am also fortunate enough to be able to play any and all of David’s music and videos at my job. He really helps me through the day. One of my favorite ladies is going down hill fast and the other day she told me that when she died she wanted me to be there with her. I told her that I sure would be and I went to my boss (David’s twin) Darin and asked him if he would call me when Wanda passed. He told me sure. It’s so good to be able to hear and see David at work. It keeps me in a happy mood and very thankful! Jans11 May it be a sweet passing. Hi, Gladys and everybody out there! !